TEDx started on a very positive note. The theme for the third edition was “Ordered Chaos”. 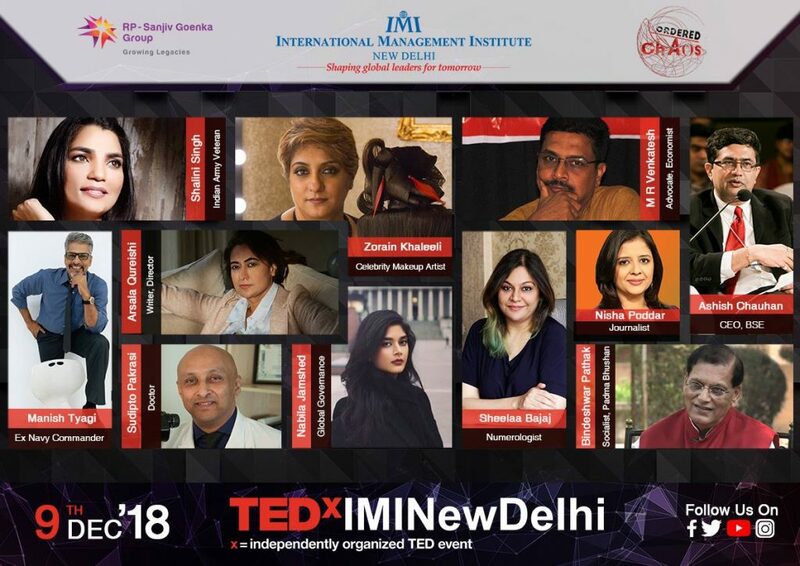 IMI New Delhi’s this edition of TEDx was all about celebrating the human spirit of raising the creative bar in order to bring order to the beautiful disarray of puzzling events- called life. The event started with the inaugural ceremony, with Dr. Siddharth Nigam, Dean Academics of IMI New Delhi, talked about how TEDx helps the students to put their managerial acumen to a good practical use. He also talked about the theme for this year and how ‘chaos’ is actually important to maintain ‘order’ in the world, by giving extensive and relevant examples from various fields like science and technology. He hoped for a more chaotic education system, to enthuse more creative and entrepreneurial spirits in the students. Dr. Nigam, was presented with a sampling after which the lamp lightening ceremony commenced. All the speakers, shared their inspiring stories, which left the students at IMI, surprised, inspired and energized for the incoming challenges in life. With such diversified and varied set of individuals talking about their life, and how unordered chaos is the guiding, inevitable principle of life that guides human civilization, they threw light on how through their individual as well as collective efforts in their life, they were able to bring order in not only their lives, but also the lives of many other people associated with them.